A beautiful, natural stone, marble has been used to make buildings and art works for thousands of years. You’ll see marble floors in the Pantheon, Buckingham Palace and the Taj Mahal. But where does the stone come from? Marble is a metamorphic rock, which means ‘rock that has changed’. Metamorphic rocks are formed from other materials already existing on the earth’s surface. Igneous rocks are formed directly from lava or the earth’s molten core. Marble is formed from limestone, and shares many of its properties. In geological terms, marble is a crystallized form of limestone or dolomite. Stone cutters use a broader definition – we’ll call the crystallized forms of a few other stones marble, too, as they have similar veining and take the same high gloss polish in a way other stones don’t. This is because stone cutters have been working with marble for thousands of years, long before anyone could tell the difference between calcium carbonate and magnesium silicate. They both look beautiful, so what does it matter? Have you Trodden on a Fossil? Limestone is usually formed from shells, coral and algae collecting on the sea floor and being compressed over thousands of years. Sometimes, the shells and bones of creatures that lived long ago survive this process. As a result, you can sometimes still see fossils in your marble floor or tiles. Where do the Swirls come from? The beautiful and unique patterns in natural marble are a major reason for its value. These are formed by deposits of minerals which existed in the limestone before it was affected by extreme heat and pressure in the earth’s crust. The minerals reacted to the pressure differently than the stone did, forming veins and patterns. Why is Marble different Colours? Milky white marble isn’t the only option. Thanks to the presence of various minerals and salts, marble takes on many stunning natural colours, from purest white to shimmering greens. Different colours are caused by different substances. As an example, black veins or grey shading is usually caused by carbon impurities while green is linked to serpentine. Marble is found around the world, which is why it has been a symbol of luxury in so many cultures. Today, four countries quarry almost half of the world’s marble. They are: Italy, China, India and Spain. However, many other countries produce marble, too. As each seam of marble is formed by a unique set of circumstances, marble from different quarries is often strikingly different. In some cases, marble from the same seam can look very different depending on the type and quantity of minerals present. This natural patterning is unrepeatable: each slab is completely unique. That’s why marble can be hard to match, and it’s important to make sure you order enough for your whole project at once. 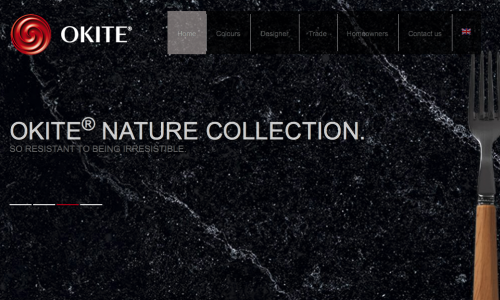 At Surrey Marble & Granite we have a wide variety of different colours and styles of marble.